the PUMA Disc, the world’s first laceless sports shoe with a system of internal wires that tighten the upper for a perfect fit. Originally designed for a range of running shoes in 1991, it wasn’t until one year later that the Disc entered the world stage of Athletics at the Olympics in Barcelona. 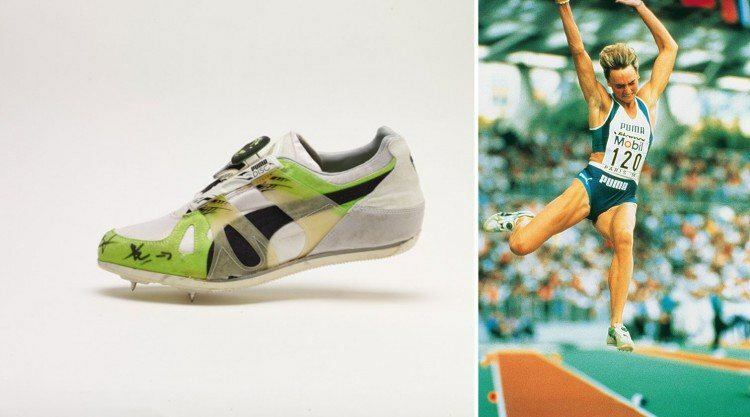 Heike Drechsler, one of the most successful female long-jumpers of all time, sported the laceless innovation. Wearing the Disc, Heike Drechsler jumped to victory with of 7.14 meters, the first Olympic gold medal in her career. 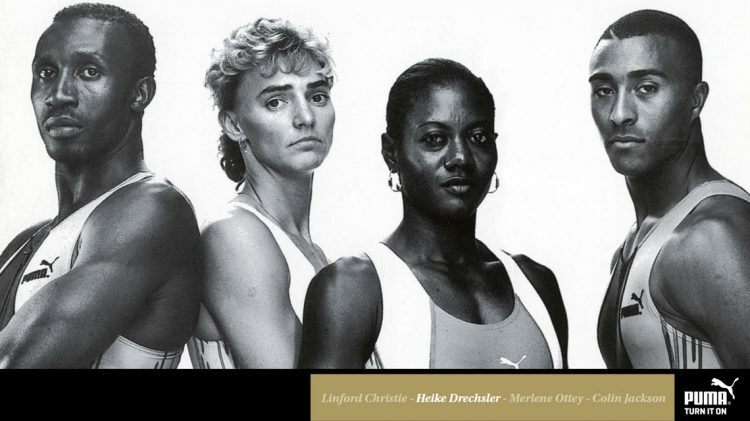 Eight years later, she won another gold medal at the Sydney Olympics and became the only woman in history to have won two Olympic gold medals in the long jump. For the PUMA Disc, however, Heike’s success in Barcelona remained the only gold medal that has ever been won in a Disc shoe until today.